Sick of tangles and split ends? Having damaged hair can be frustrating. You won’t be able to style your hair the way you want and there are limited products you can use on your hair without damaging it further. This, however, doesn’t mean that there’s nothing you can do to revive and restore your weak and brittle hair. The trick is in finding the right shampoo that can help rejuvenate your scalp and hair. To help you figure out the best shampoo for damaged hair, here are the top products your hair will surely thank you for. 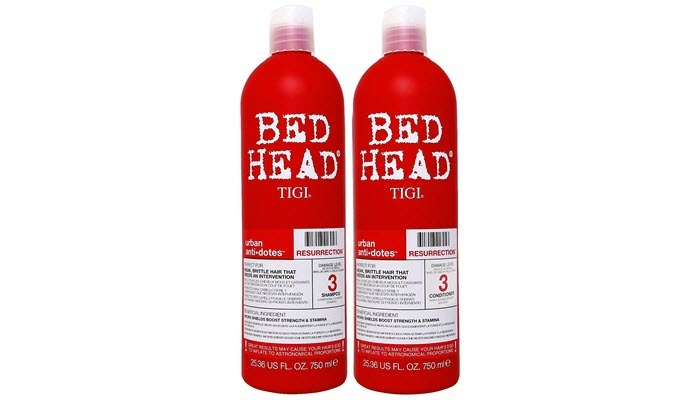 If you have super damaged hair, TIGI Bed Head Resurrection Shampoo is the one for you. It’s the best shampoo for damaged hair for its ingredients, formula, and results. It is creamy and viscous but it’s not that heavy on the hair. It does, however, require a bit more effort in washing off. The shampoo comes in a tube with a flip open cap. It’s red in color and it’s something you can’t easily miss. The color will literally get your attention. Although the packaging is attractive, it isn’t the most convenient to have in the shower. The shampoo has a nice scent to it. It smells fruity which isn’t totally a bad thing- unless you have a really sensitive sense of smell. As for the results? Well, this shampoo will leave your hair a lot shinier and more manageable. 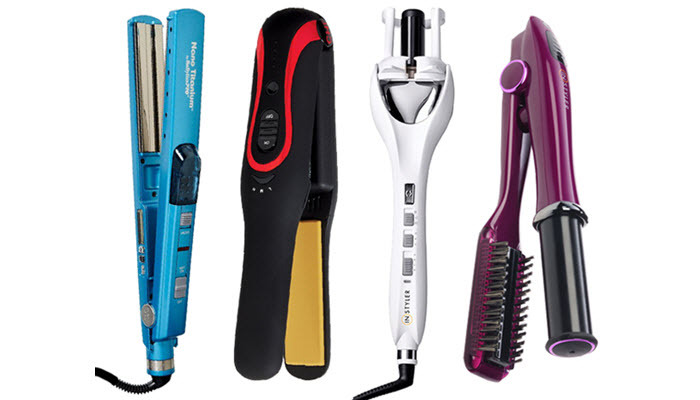 It will make your hair less frizzy right after the first use. 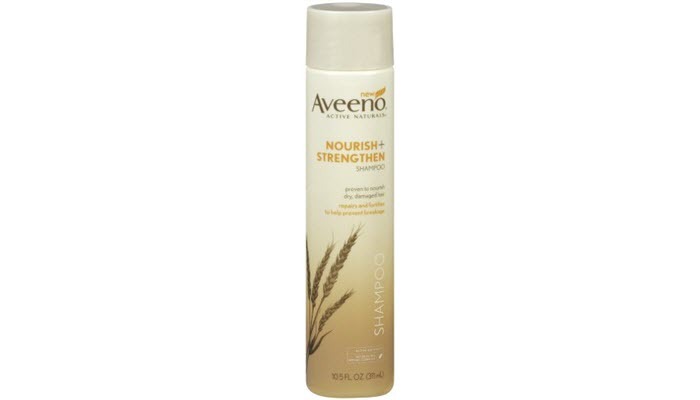 Aveeno Nourish+ Strengthen Shampoo For Damaged Hair is another great shampoo for reviving weak and brittle hair. It effectively cleanses the hair while protecting and fortifying it. The shampoo is formulated with wheat germ oil and wheat protein. It promises to bring back your hair’s health by as much as 90% in just 3 washes. Despite the ambitious claim, the shampoo doesn’t disappoint. It works well even on color treated hair. The shampoo has a thick and creamy consistency. 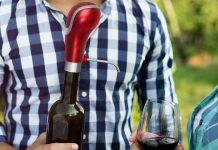 It’s opaque and carries a hint of fresh scent. It lathers nicely and leaves the hair soft and smooth. It’s unlike those shampoos that will leave your hair dry. However, since it’s creamy, this might not be the one for you if you are also struggling with dandruff. It’s not the one for you if you are looking to add volume to your hair. 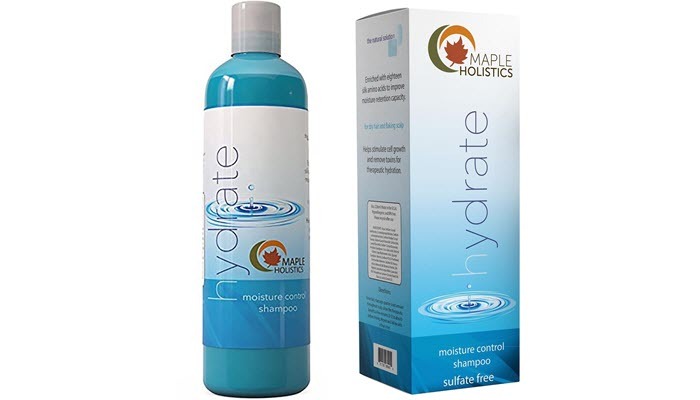 If you have dry and damaged hair and you also need a solution to dandruff, try Maple Holistic Moisturizing Shampoo for Dry & Damaged Hair. It moisturizes and hydrates dry scalp to make it less likely to get flakey. In addition to that, this shampoo is also effective in cleansing the skin. This shampoo is sulfate-free. It doesn’t contain parabens or silicones, too. There’s no fragrance or other harsh chemicals that can irritate your sensitive scalp. What it does have are great nourishing ingredients your hair and scalp will surely love. This includes parsley seed, carrot oil, and almond oil. These ingredients promote stronger hair follicles and healthier hair. The shampoo also has jojoba and botanical keratin to tame your frizzy hair an prevent further shedding and hair loss. It also has lavender to promote better blood flow to your scalp and to fight off bacteria that are contributing to your dandruff and weak hair. Now, if you are wondering if the shampoo creates suds, it does. It just doesn’t create as much suds as other shampoos do. However, it’s still enough to thoroughly cleanse your scalp and hair. 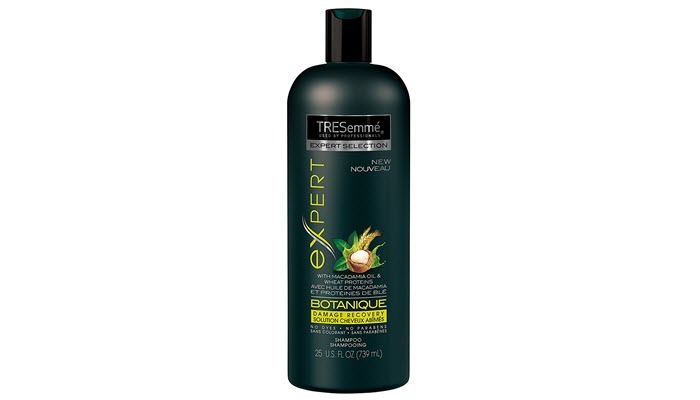 For its size and price, TRESemme Expert Selection Shampoo, Botanique Damage Recovery can give you the best deal on the products on this list. It offers 25 ounces of product and a formula that can help revive your hair. It contains wheat protein, macadamia oil, and avocado to restore your weak hair cuticles and restore your hair’s smoothness and softness. The shampoo doesn’t have any dyes, parabens, and silicones. Because of this property, you can use the product even if you have sensitive skin or if your hair is color-treated. It is scented but it’s not overwhelming or bothering. It actually smells nice with its notes of amber, nectarine, and peony. Finding the best shampoo for damaged hair is only one part of your hair’s road to restoration. In addition to using the right hair products, you should also be careful in washing, drying and styling it. 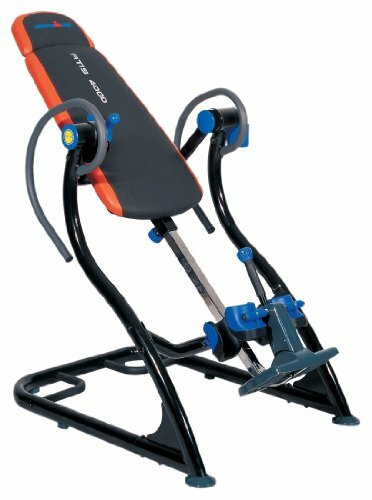 Avoid using hot styling tools as much as possible. Skip blowers and hair iron and air dry your hair instead. Get regular hair cuts to prevent the damaged ends from creeping up. Do it every 4 to 6 weeks. Pay more attention to what your hair products contain. Skip shampoos with sulfate and avoid hair products that contain alcohol. 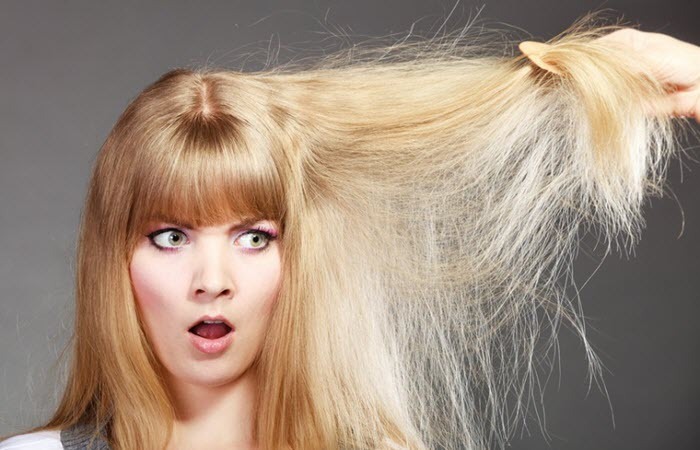 These ingredients can dry out your hair, making it more damaged and vulnerable. 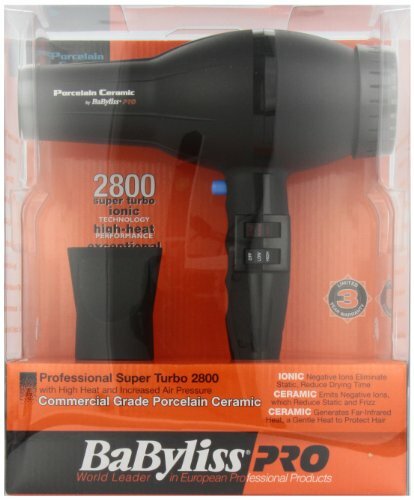 Protect your hair from harsh weather conditions. Wear a hat when you know you’ll be exposed to the sun’s harmful rays. Wear a beanie to protect your hair from the cold, dry air of winter. You should also consider using a heat protectant daily. Be gentle to your hair. 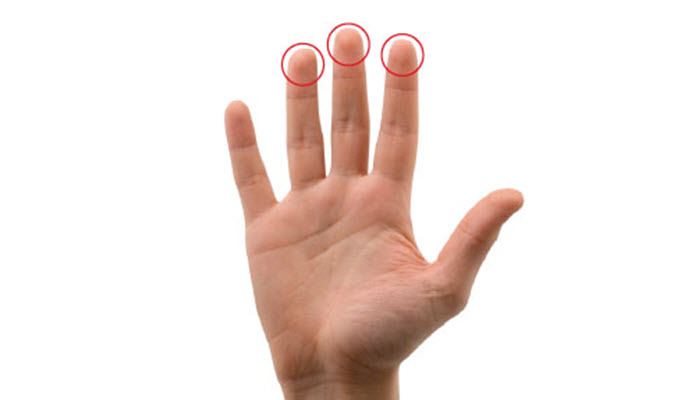 When applying your shampoo, make sure you are using the pads of your fingers and not your fingernails. Massage it gently to avoid damaging your scalp. As much as possible, refrain from massaging your shampoo in circles. 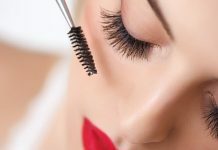 Otherwise, you’ll end up with tangled hair and that can easily lead to breakage. When it comes to combing your hair, use a wide-toothed comb to remove tangles. Avoid combing your hair while it’s still wet as it is more vulnerable. To help restore your hair’s health, try using a hair mask once or twice a week. 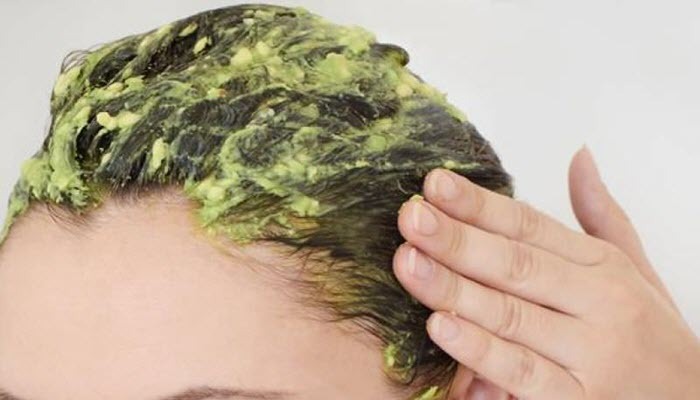 You can go with leave-in hair conditioner, hair serum or with hair masks sold in your local beauty stores or you can create your own at home. Great examples include olive oil, apple cider vinegar mask, honey and coconut milk.